After a short time of being unavailable (both to us and yourselves) Easigrow is now available. Easigrow is by far the healthiest of the grasses we grow and sell and it seems that we are not the only ones of this opinion! We have been growing more WheekGrass instead but missed our quick growing Easigrow. Timothy grass has been out of stock for a while with the intention of buying in more in the Spring (now!) but on reflection this is not what Planet Guinea is about, we are a rescue, not a business; the seeds we sell are stock that we use here and currently we have no use for Timothy meaning that theoretically we could be left with it if it does not sell. We do not have time for EBay as our rescue comes first- what doesn’t go in the shop is donated to another rescue or used here. It would be a false “fundraiser” to keep it in stock so we will only have it in store when we are reseeding and have some “left over”. 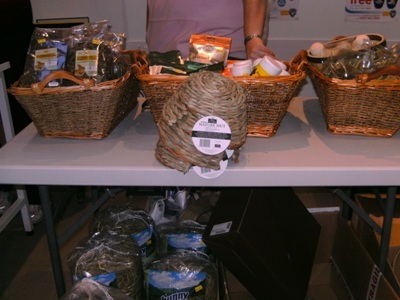 Timothy does not do well indoors, we use the Cereal Grasses for that, but if you wish to purchase some for outdoors The Hay Experts stock a Mix containing Timothy and Orchard plus Meadow grass and Fescues that can be grown outside. 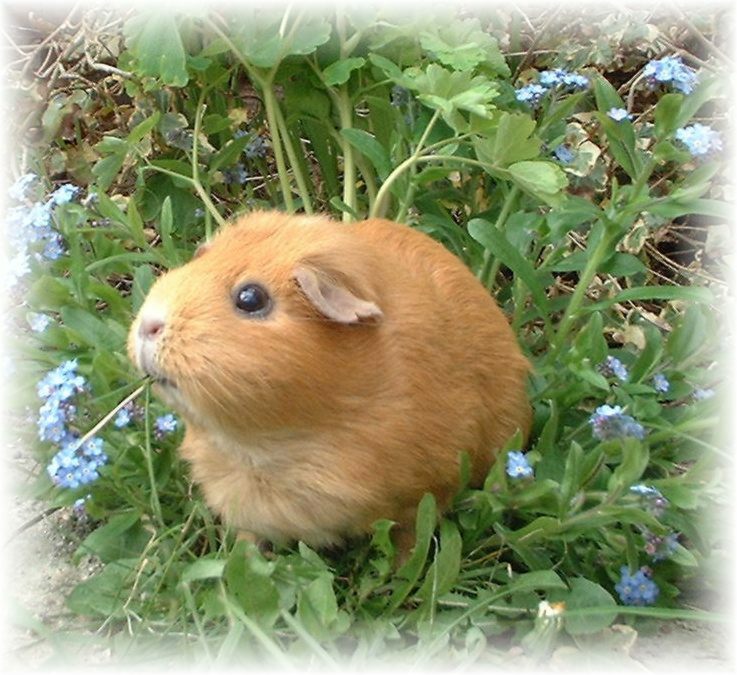 We will continue to stock our Guinea Pig Garden Mix, that is professionally mixed for us but everything in it is selected by Planet Guinea, making it a unique mix containing 50% herbage and 50% Orchard/Timothy mix. This has come a long way from our first mix in 2003 which was selected to be “nutritionally balanced”, we have since learnt that proportion, just like in the human diet, is a factor that cannot be ignored- what you are feeding is almost irrelevant if you are giving incorrect portions. For example we wouldn’t “just recommend” feeding hay in the diet, we recommend on Ratewatchers to feed their “body mass in hay daily” – as opposed to a handful for eating AND foraging! Email Addresses and Evolution of Planet Guinea! Over the next month we will be losing our planetg@planetguinea.co.uk email address. The store will remain open though. Reading Guinea Pig Rescue is now receiving more emails nationally and some internationally and we are changing the address to reflect it. Our rescue address: karen@readingguineapigrescue.co.uk will still be available, but our main contact address is: info@guineapigwelfare.org.uk. 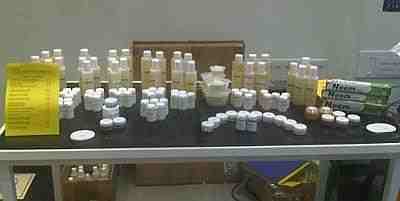 Guinea Pig Welfare is evolving along nicely, thank you to everyone that is part of it. After considering the basic needs for guinea pigs Guinea Pig Welfare came up with their own Pigfesto. 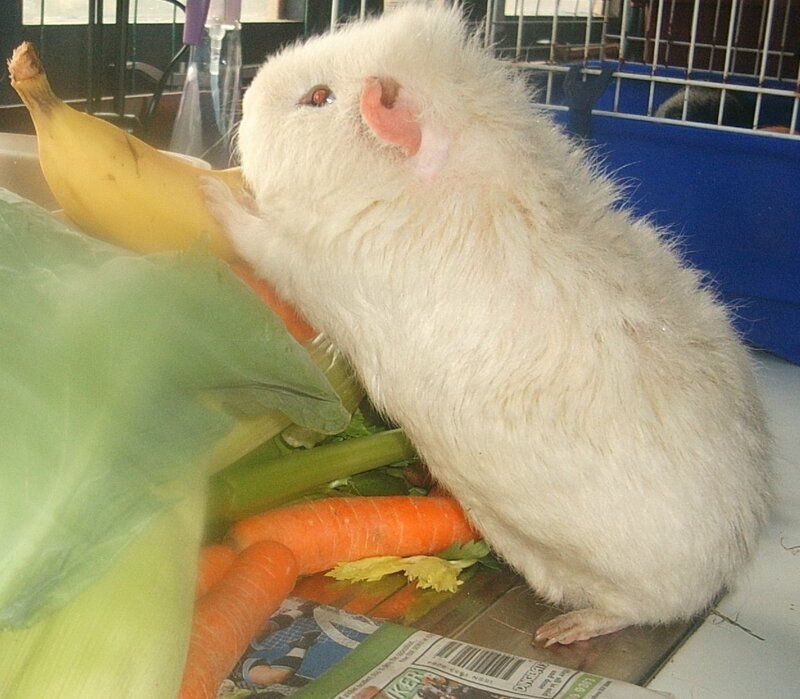 The essential needs in the Pigfesto allow guinea pigs to be “guinea pigs”, and there is no substitute for any of them. 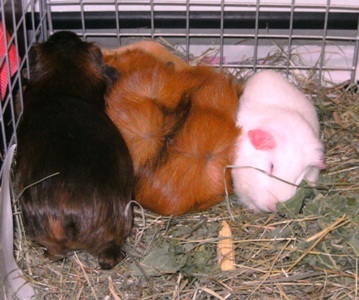 For example, foraging is a natural behavioural need for guinea pigs, this cannot be substituted by providing other “toys”, (plastic balls for example). The need to forage in hay is the basic Pigfesto need. Where this is not happening other behavioural issues can be occurring. 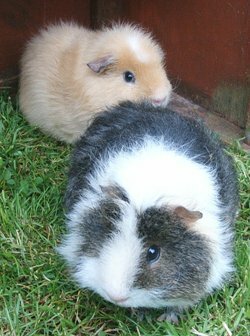 Guinea pigs have the same behaviour “issues” as dogs, for example, (aggression through fear etc etc) except guineas are a lot smaller and, for the most part the behaviour is ignored/glossed over or not even recognised. The Pigfesto has already proved useful for outlining to new guinea pig owners the absolute must haves for good health and well-being. Guinea Pig Welfare now have a Facebook page for topical jottings and daily news and pigtures. Member’s pigtures and views are welcome too. Come and see what we’re thinking about on Planet Guinea and what our Beautiful People are doing! We are a completely open group, no pressure to join! Quality not quantity. No individual medical advice is given though we are happy to help with finding a vet. Our latest comment was regarding the way SOME RSPCA centres will be admitting animals, a national paper has seen it as an excuse almost to qualify dumping pets! However, this is an illegal act, everyone is still responsible for their pets, including finding alternativ e homes if they cannot be kept. We also recommend joing/viewing the Gorgeous Guineas Facebook group which features 5 of our past Guests, Digger, Oriana, Roza, Chiara and Mr. Magic- all RGPR guineas.There is a link from our page. So far this year we have admitted one sow, Little Miss Magic, and rehomed a total of 21 guinea pigs. However, only 3 of those guinea pigs have gone directly from here, the others were still living in their own homes, waiting for a place here in particular (which was strangely complimentary). Rehoming policies/standards have been the same, none went to outdoor homes, in fact some went from living in an unheated shed to an indoor home, and the same questions were asked and satisfied. Two of the humans in particular stated that they wished me to do the preliminaries. 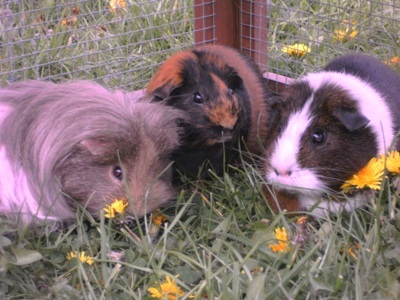 Any advice contained in this newsletter is not meant to substitute veterinary care and advice, you have a legal obligation to seek veterinary attention if you suspect your guinea pig is ill.
Mr. Softy, Little Miss Magic, and Nutmeg enjoying some runtime. 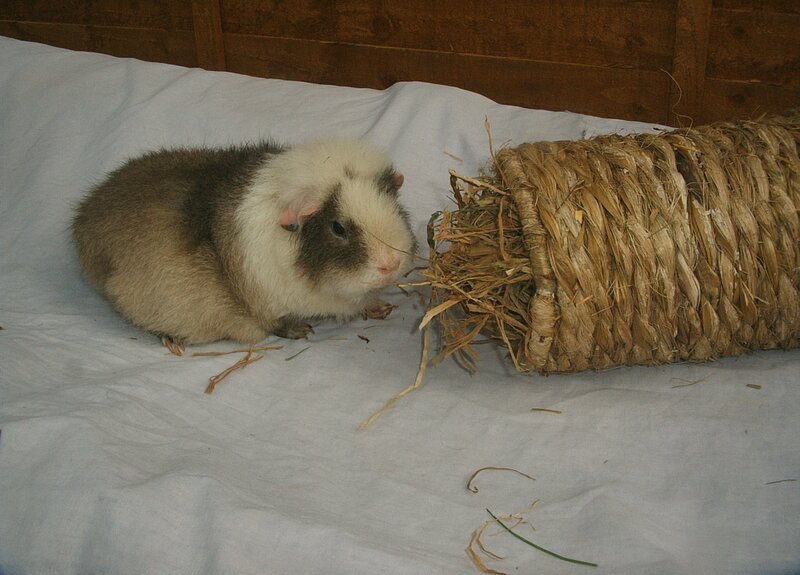 Oldest rescue guinea rehomed: Mr Happy @ 5 and a half years old. Oldest rescue guinea pig taken in: Satin, age 7 years. Oldest foster pigs here well enough to be rehomed: Keenan and Kel @ 6 years old stayed with their fosterer until they left us to be Stars on Planet Guinea. Youngest guinea pig rehomed: Molly (2009) @ 6 wheeks. Youngest guinea to arrive at the rescue (not including the ones in Mum’s tums 🙂 ): 4 day old Pixie and Dixie (2002). First boar @ Reading Guinea Pig Rescue (RGPR) (rescue), Eddie, a lone boar who was later paired with an existing boar, 2001. 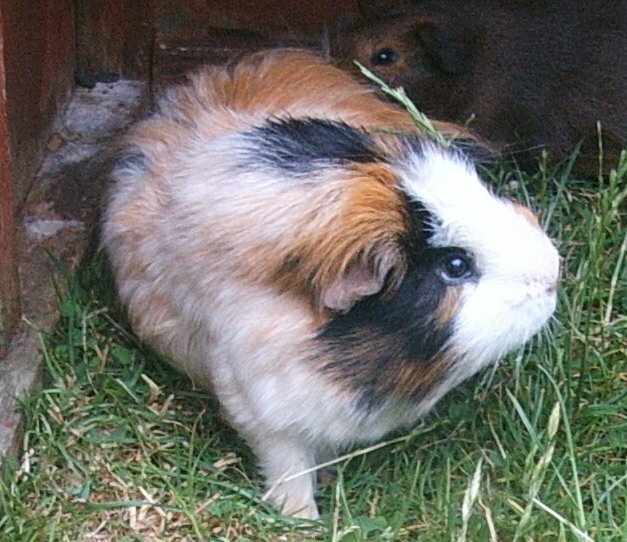 First sow on RGPR (rescue): Sugar and Spice, 2001. First litter born @RGPR: The Buffy Kids, 2003, 5 pups born, 1 dead on arrival. Biggest litters born @ RGPR: Summer had a litter of 8 pups, 5 survived, Posy had 8 as well in 2008. Smallest litter born: One little girl, Ariel, to the lovely Scrumptious. Largest pup born: Solo an only pup weighed in at 150g. Smallest surviving pup: was Marsh who lived here for 8 wheeks before going to be a start= on Planet guinea, followed by his brother Maple @ 44g and still looking for that Forever home, and Mr.Big also 44g. Most guineas rehomed to one person over the years: 18 to Chrissie of Gorgeous Guineas, starting in 2002 till 2009. Chrissie makes a rule of rehoming only those that are over 2 years, the oldest being Mr Happy at 5 years. Biggest number of guineas taken in at one go: 18, in 2002. I was told to expect 6, which was ‘pushing it’, spacewise. Luckily, Chrissie, who had just adopted Florence from us and was building RGPR’s first website, offered hutch space for two sows and two boars. The rest is history- Gorgeous Guineas‘ history! 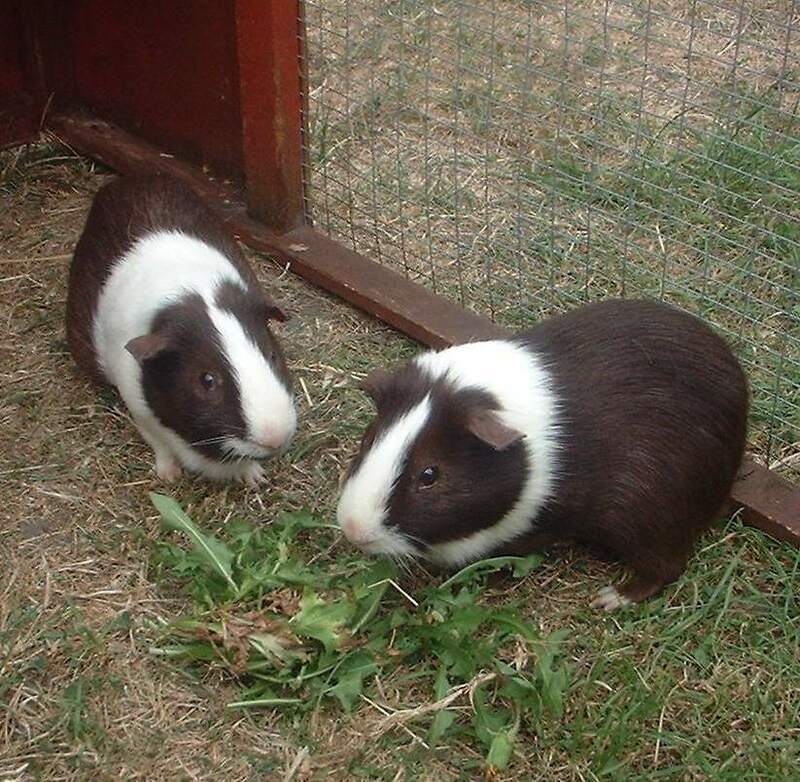 Clover and daisy went from being scruffy short haired guineas to stunning Coronets! The girls were adopted, the boys stayed as Gorgeous Guineas 🙂 . Most common colour to come into RGPR: Chocolate, our first chocolates were Charlie and his Chocolate Factory, Miss Piggy and her 5 pups born here. Most common breed ‘type’ to come into RGPR: The Himalayan is by far the most popular type to come in, they are never well smutted like the true purebreed, but have the choc nose/feet/ears. All but one of the Himmy sows that have arrived here have been in pig (except for the pups born here of course). At the time of writing I have a Himmy boar, Acorn, looking for a Forever home and two boars born to Himmy mums that have been here over a year looking for homes. Most common ‘problem’ that guineas have on arrival @ RGPR: For the most part skin problems, but more recently behavioural issues have been rising. Most common reason for ‘handing over’ guineas to RGPR: ‘Change of Circumstances’. Most guineas rehomed @ RGPR: 46 in 2008 to Animal Welfare Act compliant homes and above. 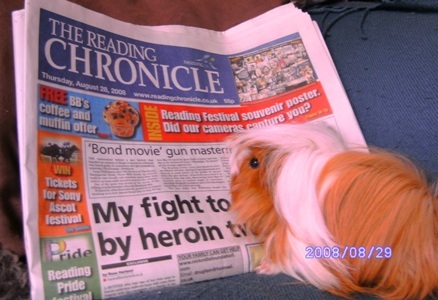 Least amount of guineas rehomed by RGPR: 8 in 2001, this was without any internet advertising neither did we have a website. Biggest challenge: This has to be Lily’s arrival, Lily is blind and deaf, although she can probably see light and dark and shapes/outlines; I had Marsh who was without eyes but a deaf blind is so different. Whilst I could talk to Mrsh and get a reaction from him, Lily can’t acknowledge my prescence simply by hearing me. For the first few days I had to ‘get her up’ in the mornings to come and get her food, now she runs with the others and wheeks for her food 🙂 She taught me she is just like the others and needs no ‘special care’, funnily enough the other guins have never treated her as a ‘special case’ either. Tonight Planet Guinea has a new star. The surface is some what roughly textured and white and grey/black in patchy colour. It is easy to spot though often very still and will be near one of the other stars- usually just the two of them together, as opposed to being in a group. The star moves at a sedate pace, no need to hurry 🙂 . Cloud left us this morning to become another Star on Planet Guinea and to move on to other things, his job on the Planet is done, time to influence from a different position now. Cloud arrived aged 6 weeks, in 2005, making him 5 in January 2010. He was rescued from someone who had a large group of boars and sows living together and breeding ‘freely’. The little Human on Planet Guinea spotted Cloud and chose him above the long haired Sheltie and Coronet types, we brought him home on the understanding that he would be rehomed if he fell out with Henry in the next 6 months. Henry and Cloud were the best of pals for the rest of Henry’s time, when Henry left us to become a star on the Planet Cloud (who had already been castrated in readiness for this happening) was introduced to his new herd of girls. For the most part Cloud let the girls ‘get on with life’, but would interfere when needed, Miss C and Miss Lucky were two girls in particular that needed some guidance on group behaviour 🙂 . One of the most notable things about Cloud was his colour change. He arrived a little white ball of Rexoid fluffness, but it wasn’t long before he darkened, the end result was a black back, and black cheeksthat ‘gave’ him a white blaze- almost Dutchlike! Cloud has visited Piggy PMs and the local school who sponsored him and the rescue, but lately he has been the anchor for some some sows with issues, his calm, chilled self reflected onto the others making his group the best for guineas who had lost their way and needed to learn how to be guinea pigs again 🙂 . A chillaxed and somewhat darker adult Cloud. Cloud during his first spring on The Planet.